Would AA be willing to offer some additional help for disabled users? Firstly have a policy for staff. Secondly to record and keep basic info about a customer�s disabilities somewhere easy for staff to look up. Thirdly to think about any additional services that AA could deliver for the benefit of disabled customers and I am not thinking free necessarily, because if some things cost money then they cost money. And I am also wondering if some things could be delivered by partners. Some disabled users really really need home visits for simple things. One concrete example - getting to the master socket. Some users who are disabled or very elderly cannot unscrew a front plate and do not have the new tool-less NTE5s yet. Users may not have the right cables to plug into a test socket and may not have an old-fashioned landline phone at hand. I know they are cheap to obtain, but if someone has no old phone, the internet is down so they cannot order one and they live miles from civilisation or cannot travel then it means begging the use of one from relatives or neighbours. I am semi bed-bound. I can walk and go as far as the bathroom. Sitting upright for any length of time is not good because of dizziness or nausea. I am very confused because if powerful pain drugs. So a lot of simple network-related physical tasks are well nigh impossible and some mental tasks are difficult. My wife has arthritis in her hands and finds networking jobs daunting. Sometimes booking a chargeable BT engineer visit would save a lot of worry never mind the cost. Or a visit from a local equivalent AA partner of some sort who could carry out small tasks if that makes sense. I realise that this is a bit vague and asking for the moon on a stick, or is it ponies. Could you maybe at least think about reselling BT chargeable engineer visits? And give one or two illustrative prices to publicise availability? This is where a customer is actually asking to get charged, we are not trying to avoid getting charged by BT, which is the usual state of affairs. Sounds like the ideal situation where you need a good relationship with a local computer shop who have a few staff would can pop out and offer such services. The problem is geographical - it is 85 miles or so to Inverness and I don't even know if there is anyone with any clue there who would fit the bill. It's about five hours round trip by road. Gives you some idea. I myself used to be that person, in fact. When I was working I did consultancy especially security consultancy and systems installation for domestic users and small businesses. Locals find that money is very tight though and a lot of people can not afford a professional and would rather risk it with clueless relatives who will attempt things for free. Even small businesses are so obsessed with penny pinching that they will take crazy risks. When my health really failed and I lost my largest customer because they were taken over then I had to give up work. I would say that not having the right cables or a wired phone is not really made any harder or easier dependant on disability. If I wanted one I would have to order it from the internet too, on my phone if required, I don't know where else I would get one. 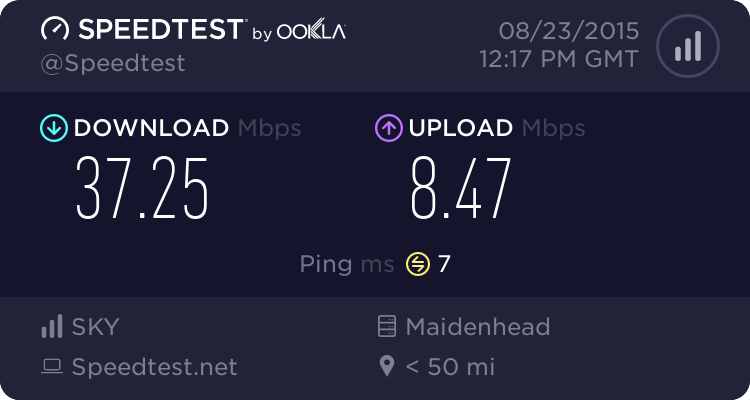 I don't think BT offer a service that AA could purchase where a BT engineer would come out and sort things for you when the fault is not with the line prior to the master socket, which could include anything from router settings to issues on your PC, anything. If you have issues finding a local IT support then AA will too, perhaps in your situation it would be to live somewhere closer to civilisation, not just for broadband!! �BT� used to .... �Community Engineers� was their title, long gone now though. Isnt that what what the Qube Customer Premises Engineer visits are for? Qube engineers only work for TalkTalk AFAIK. problems using the equipment, shifting NTE�s and extensions up to where they could be reached. Fitting these bulbous covers on the phone jacks unplugging could be easier, fitting loud bells and and tone callers etc. It sounds exactly like what a Broadband Boost job would cover. ... except BT Retail and BT Business are the only CP�s who choose to buy that service from Openreach.